A well planned and refurbished split level top floor flat within this prime W12 street, just west of Askew Road. Currently offering two double bedrooms and wide south facing reception with refitted open plan kitchen and with lovely views west. The loft space ( currently owned by the joint freeholders) has sole access and offers fantastic storage as well as potential to integrate into the flat subject to the usual consents. This flat offers a turn-key finish including new windows, carpets, wiring and decorations throughout. It is quietly situated on the northern side of Bassein Park Road on the corner of Rylett Road. Local shops on Askew Road and both Wendell and Ravenscourt Parks are within a short walk, as are numerous good schools and the shopping and transports hubs of Hammersmith and Westfield. 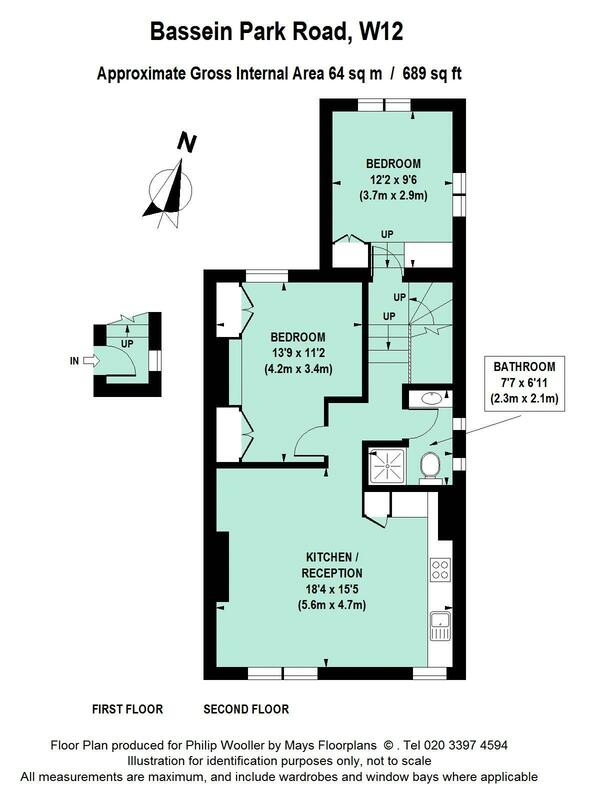 689 sq ft / 64 sq m approx.